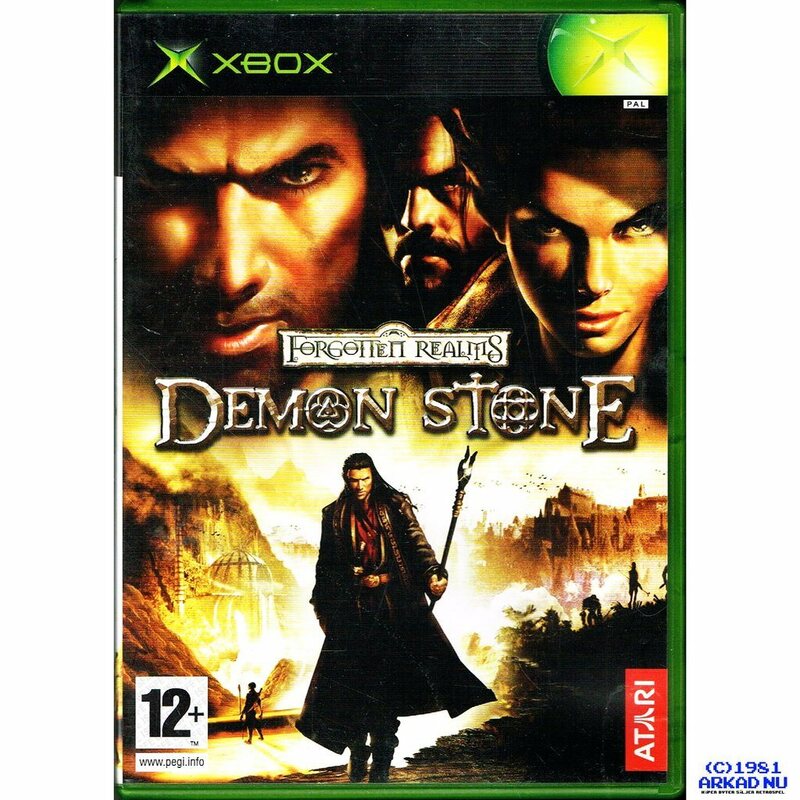 Forgotten Realms: Demon Stone is a video game that was released in 2004 for PlayStation 2, Xbox and Windows PC. It is set in the Forgotten Realms campaign setting for Dungeons & Dragons (D&D), but the gameplay only vaguely models D&D's structure. The story was written by R.A. Salvatore and features the voices of Patrick Stewart as Khelben "Blackstaff" Arunsun and Michael Clarke Duncan as Ygorl. The hero of many of Salvatore's novels, Drizzt Do'Urden, makes an appearance in the game; he is a playable character during a portion of one battle. Players have control over all three characters and can change character at any time (after all three main heroes arrive). There are many fighting moves, and players must use each character's skills to play the game effectively. Rannek uses a sword and breaks things with his gauntlets. Illius fights with a staff and uses magic (the game's most powerful ranged attack; the other two can throw knives (Zhai) or axes(Rannek)). Zhai uses two daggers and becomes invisible in shadows—this is useful for sneaking up on enemies and killing them. Bosses overpower characters in one-on-one fighting but can be defeated with the combined power of all three heroes. Although much of the game is hack-and-slash, there are several tasks that require the use of various skills.